MedicalResearch.com Interview: Why are they significant? MedicalResearch.com Interview: What is trehalose? Response: Trehalose is a disaccharide of glucose meaning there are two glucose sugars attached to each other. They way the two glucose molecules stick together in trehalose is unique compared to other types of sugar in that trehalose will not react with other molecules as much as other sugars (such as maltose). This is because trehalose is a non-reducing sugar. Trehalose also interacts with water in unique ways that gives it properties that are valuable for use as a stabilizer for pharmaceuticals, cosmetics, and more recently the food industry. Because that bond that holds together the glucose molecules in trehalose is resistant to heat and acid, it is desirable for use in foods as it is ~50% less sweet than sucrose and does not participate in the browning of foods containing sugar when cooked at high temperatures (Maillard reaction). 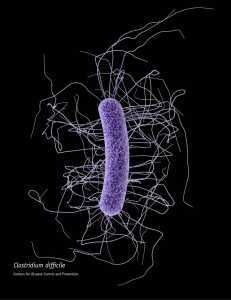 MedicalResearch.com Interview: And what is C. difficile? Is it new? How many people has it affected/made ill/killed? Is it a major concern to public health? Response: C. difficile is the most common cause of antibiotic associated diarrhea and is fast becoming the most common cause of hospital acquired infections, surpassing MRSA. It has also been designated an urgent threat pathogen by the Centers for Disease Control in the US. In the most recent study in 2015, C. difficile results in 435,000 cases and 29,000 deaths in the US alone. Thus it is a major public health concern that needs to be addressed. 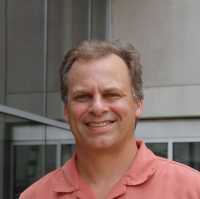 MedicalResearch.com Interview: What does it mean to say the C. difficile “metabolises” the trehalose?? Response: When we say C. difficile metabolizes trehalose we mean in this case it can grow on trehalose as a carbon source. The ways the two key ribotypes do this in our study are completely different, which is surprising since they both emerged as epidemic strains at the same time. MedicalResearch.com Interview: And what does it mean to say that a food additive “may inadvertently select for pathogens”?? Response: We think that, while trehalose may have many beneficial properties for humans and the food industry, in this case the addition of trehalose to the human diet selected for these hypervirulent epidemic ribotypes of C. difficile. But it is important to remember that the bacteria that live in our gut simply get to eat what we feed them, so any major changes we make to the human diet is bound to have a number of positive and negative consequences to the microbiota. MedicalResearch.com Interview: How did the study work (methodology)? Are the findings sufficient to show a cause and effect relationship? Response: We were able to show, using a combination of in vitro gut models and mouse models of C. difficile infection, that trehalose can promote disease severity of C. difficile infection and yield a competitive advantage for growth in a complex microbial community. The link to RT027 and RT078 emergence in the early 2000s is the approval of use of trehalose in the US, which directly preceded the emergence of RT027 strains in North America. There of course is no way to show cause effect in humans, but the fact that two very different ribotypes (not closely related) of C. difficile became epidemic at the same time a sugar they can eat much better than other C. difficile ribotypes is a strong association. MedicalResearch.com Interview: What made you look at this link in the first place? Response: We were simply interested in how different ribotypes consumed sugars and other carbon sources that would be found both in the diet and in the intestinal tract. We were surprised when we found that both RT027 and RT078 strains could eat trehalose at a much lower concentration than all other ribotypes we studied. This was the initial observation that led us to pursue this work. MedicalResearch.com Interview: Could you please tell me which foods trehalose is found in? Response: It is difficult to ascertain which foods have trehalose in them as food companies don’t disclose a lot of this information. What we have learned about trehalose consumption mainly comes from Japan (where trehalose was first used in the diet) and from the FDA GRAS report that was filed to get approval for use of trehalose in food in the US. trehalose in normally found in yeast, shellfish and some plants – however trehalose has been used in foods ranging from candy to ground beef and vegetables. The predicted amount of trehalose provided in the GRAS report is ~100 times more than naturally found in the diet. The trade name for the trehalose marketed in the US is Treha – I’m not sure how it is marketed in the UK. The most public disclosure of a major fast food restaurant using trehalose is Taco Bell. This entry was posted in Author Interviews, Baylor College of Medicine Houston, C. difficile, Nature and tagged bacteria, C. Diff, food additives, nutrition by Marie Benz MD FAAD. Bookmark the permalink.